Here is the latest statement from our Chief Constable Olivia Pinkney following the report published by the Gosport Independent Panel. "Yesterday afternoon, following the publication of the report, I wrote to Bishop James. I wanted to thank him and the Panel. The significance of their role in shining the light, not just on this case but more widely in terms of the safety of patients in the health and social care system, is already becoming clear. "As we enter what some yesterday described as a new chapter, trust and confidence between the families and those agencies taking this forward is so important. 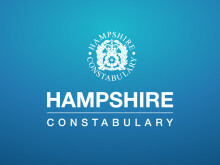 A key question is what, if any, role Hampshire Constabulary can and should play in examining and presenting any new evidence and information gathered by the Panel. 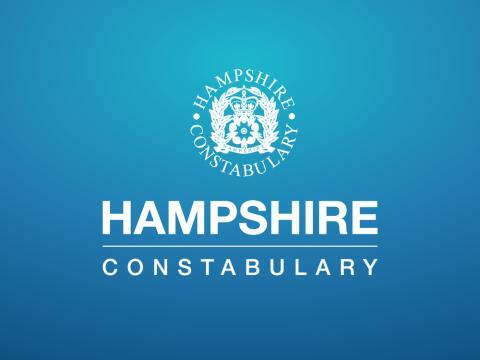 "In terms of whether Hampshire Constabulary can play a role, we stand ready to support the next steps in any way required. I have a dedicated team of investigators who spend every day working for the communities that they serve. "On whether Hampshire Constabulary should lead going forward, my start point is again the importance of trust and confidence. I have listened to the reported views of the families and those who represent them. Having taken time to carefully consider the matter, I have made the decision that Hampshire Constabulary must take a step back. I certainly would never want to absolve my force of its responsibilities, but we cannot hide from the fact that the legacy of what has happened has caused considerable damage to confidence in the agencies involved, including my own. "In its report, the Panel has given a clear view on the quality of the investigations by police and other agencies. The force has always acknowledged that the first two police investigations were not of a high quality. The report makes clear a view from the Panel that the third did not look widely enough. We accept the Panel’s findings and I would like to take this opportunity to apologise for our part in the distress caused to families for so many years. "With new material being available to the Panel, it is important that whichever force takes the lead has the right access to all of the information. It will be for the Crown Prosecution Service to outline what criminal options are available and what new evidence is required in order for any prosecutions to be brought. "On the policing side, I have already instructed my force to prepare plans so that this can be handed over to a different lead force and I am also progressing discussions with national partners in this respect. This will be taken forward as quickly as possible. Following this I will communicate my decision with the families first. I very much hope that this transparent approach will be echoed across all agencies and the momentum that the Panel’s report has brought can continue. "It is my intention to communicate more when decisions have been made in relation to the lead force. I would expect to be able to do this in the coming days, but it is important that this is well considered and that there is time for appropriate communication with families."